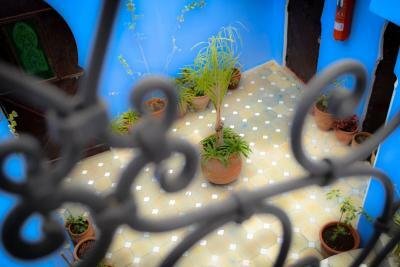 It was a gorgeous riad with fabulous local detail and positive friendly staff. Centrally located but far enough off the main square so that it felt secluded and hidden away from the restaurants and shops! The hotel is really charming in a traditional style and very clean. 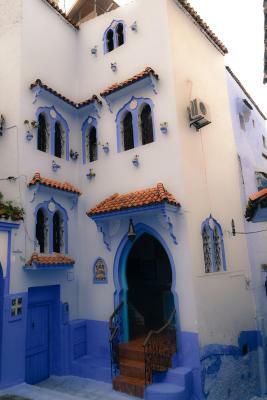 It is perfectly located in the middle of the blue medina. The rooms were clean and comfortable. Breakfast was good. Nice rooftop terrace provides a great view of the surrounding area. Good location for exploring the medina. Great location - it's really in the city center, one minute away from the central market. The sheets & towels were clean. Location was perfect.Breakfast was good.Over all good experience. Breakfast was reallly good. Nice view on the rooftop. We parked on the main road (Avenue Hassan II) and a very friendly parking attendant walked us to the door. The hotel and the restaurant for breakfast were both in great locations. The hotel was very cute and had a lot of personality. It was very fun to stay there. 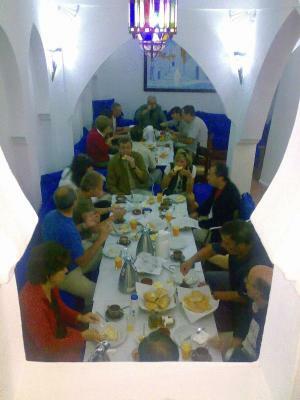 Hotel Dar Mounir offers both a restaurant and cafe serving traditional Moroccan dishes. It offers air conditioned accommodations and has a panoramic terrace. All the rooms are individually decorated and have private bathrooms. Each room is equipped with a flat-screen TV with satellite channels. The terrace boasts panoramic views of the Medina. 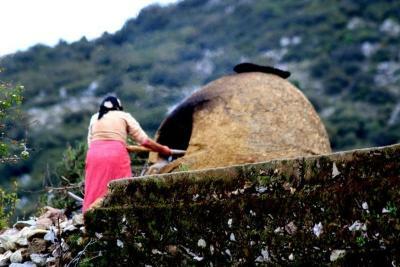 There is a Moroccan tent where guests are invited to dine and enjoy a drink. Dar Mounir’s cafe is only 150 feet from the hotel. It is very close to the Mosque of Outa El hammam. 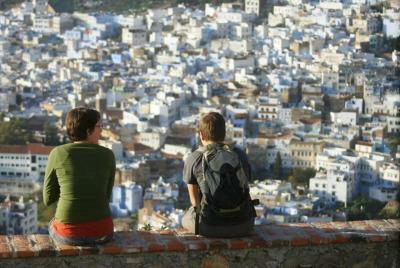 Souika is a great choice for travelers interested in atmosphere, old-town exploration and walking. 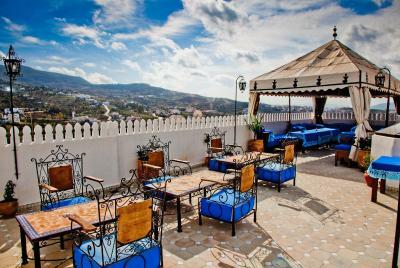 뀐 Located in the top-rated area in Chefchaouen, this property has an excellent location score of 8.8! When would you like to stay at Hotel Dar Mounir? This air-conditioned room offers a flat-screen TV with satellite channels. Extras include free Wi-Fi access. This air-conditioned room offers a flat-screen TV with satellite channels.Extras include free Wi-Fi access. Area Info – This neighborhood is a great choice for travelers interested in atmosphere, old-town exploration and walking – Check location Great location - show map Guests loved walking around the neighborhood! House Rules Hotel Dar Mounir takes special requests – add in the next step! Hotel Dar Mounir accepts these cards and reserves the right to temporarily hold an amount prior to arrival. For bookings of 4 rooms and more, a non refundable policy applies. The breakfast was decent but not amazing. The hotel was under construction during our stay. We did not have a double bed, but 2 single beds one next to each other. The wifi did not work. The breakfast was outside the property, at a restaurant in the market & it was not impressive. There where some construction works happening so the rooftop was not totally available. Very good location. Everything was clean. The staff was very friendly. The furniture in the room and the fabric on the sofa was old and worn. Location was near the main square. There was renovation going on during the day but things would be wrapped up before evening. The staff didn't speak much english but they were helpful. When we complained that the tap in the bathroom was difficult to shut off, they moved us to a different room the next day. Breakfast was served in another location which was right in the main square. The bedrooms were and bathroom was a little small. The door of the room is a bit too narrow. 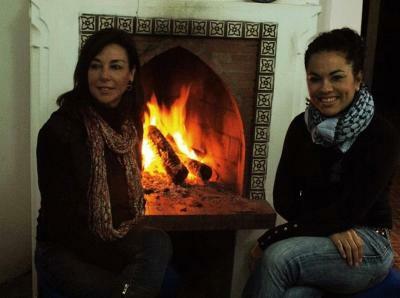 When I was there, everytime I went to shower there were no warm water and the weather was already freezing! 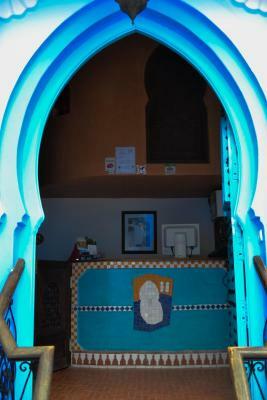 The hotel was very close to Utta Hammam which is the main plaza in Chefchaoun. It’s beautifully colored blue. And their restaurant serves the best breakfast ever.